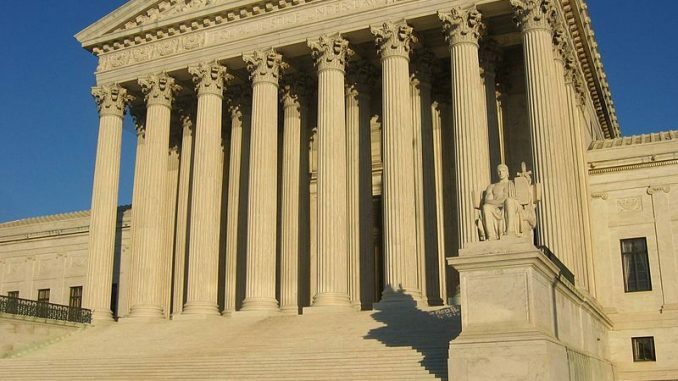 Last week the Supreme Court of the United States heard the case Schuette v. Coalition to Defend Affirmative Action, which challenges a 2006 amendment to Michigan’s constitution that banned race-based considerations in the admissions process at public universities. The U.S. Sixth Circuit Court of Appeals ruled last year that the Michigan amendment violates the U.S. Constitution’s equal protection clause. The decision confirmed what many already know: that it is in the public’s best interest to actively promote diversity on our college campuses. Opponents of affirmative action in our state are led by Bill Schuette, Michigan’s attorney general. Schuette is also an Albion College Trustee. In a guest column for the Detroit Free Press, he argued that the Michigan amendment actually eliminates discrimination in the admissions process by making it race-neutral. This shortsighted view denies the inherent value of racial diversity, and ignores a legacy of minority suppression in American history. College students come from a variety of backgrounds, and it is important that our education celebrates these differences. Exposure to different perspectives and traditions is a valuable component of education because it helps students break down false stereotypes and preconceived notions. For nearly two centuries, our nation did quite the opposite. Minorities were relegated to second-class status through discriminatory laws and attitudes. We still feel the effects of that prejudice today, as poverty and illiteracy occurs at much higher rates amongst minorities in America. Meanwhile, rates of educational achievement remain low. As a private institution, Albion College is not affected by the Michigan amendment banning affirmative action. In fact, Albion has its own diversity plan, which commits our school to the development of a racially diverse campus. This policy has been in place since 2003. Schuette’s opposition to affirmative action contradicts the fundamental principles of our school’s diversity plan. This calls into question his role as a Trustee of Albion College. But Schuette v. Coalition to Defend Affirmative Action has much broader implications nationwide. It makes sense for public universities to take racial background into account during the admissions process. An individual can receive scholarships based on athletic prowess, or because their father is an alumnus of an institution. So why should race be singled out and eliminated as a factor? America’s public universities should actively encourage diversity in all facets of education, including the admissions process. This is made even more important when one considers that students are stepping out into an increasingly globalized society. Hopefully SCOTUS will recognize and preserve diversity in education. The only factor (other than having the tuition money) that should ever be considered is whether, or not a new student is likely to graduate. Having good grades in high school, or on SAT scores is a good indicator of probable success. Having bad grades points to a more likely failure. Basing admissions upon factors such as, “Did daddy attend this school?”, or “What color skin do they have?” is like basing admission upon what a ‘Magic 8 Ball’ toy says. Having been screwed out of a job (30 + years ago!) because of Affirmative Action (the contractor and EEO officer from the nearby Air Force base told me to my face), I have no sympathy for people who want to go against Martin Luther King’s call for judging people by the content of their character and not upon the color of their skin. It’s long past time to bury Affirmative Action. It’s just far to Negative! Supreme court should support only economic factors based affirmative action. Affirmative action based on skin color is reverse-racism and every rich colored person must be ashamed to get a benefit through racist Affirmative Action. Affirmative action is reverse discrimination (period). I recognize that there is inherent value in creating a diverse environment (learn different cultures, breakdown stereotypes, etc. ), however, the admission process is about determining whether a candidate will do succeed at a school. Skin color does not dictate whether one will do well at a school; quantitative measures and grit will determine the success of a student. If a school cannot manage to create a diverse environment, so be it. Is there not something to learn from everyone regardless of race anyways? Further, the argument that public universities take into account athletic prowess and whether one’s father OR mother (note both genders) was an alumni, is bad. Public universities have a financial stake in athletic prowess, so of course they’re going to give scholarships to those who have that prowess. Millions of dollars are generated as a result college football games (and other popular sports) for the university and that money would not have come from another source, e.g. government. Further, I believe that competitive athletics helps to bring a college community together and fosters school spirit, which translates well into a student’s happiness at a university. Moreover, taking into account where a parent or guardian earned an education makes sense, as well. Because admitting a student that has a parent that attended the university, can translate into more contributions from that family, thus, increasing a school’s endowment. Money weighs into ranking systems of universities, in both ways that are direct and indirect (such as the popular, U.S. News & World Report (http://www.usnews.com/education/blogs/college-rankings-blog/2013/02/07/decline-in-endowments-may-affect-best-colleges-rankings)). Lastly, if a college is interested in promoting racial diversity, the answer could be to sponsor service trips to areas that are predominately one race, or promote altruism. So that students may gain this experience with other cultures. Our college is adept at promoting both ways of exposing student’s to diverse groups of people (support for this are the numerous, well-funded student organizations dedicated to volunteerism, both in the local community and economically disadvantaged areas). If the experience of racial diversity does not didactically make it a student, it is their ignorance then. Reverse discrimination is not the answer to the race issues of America.